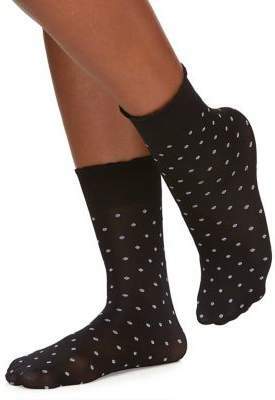 Opaque Dot Anklet Socks;From the Trend Anklet Collection. 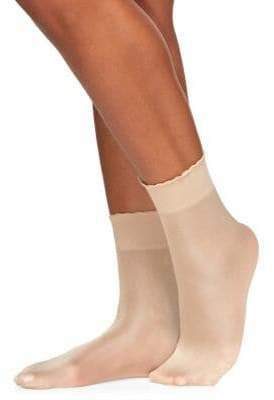 Plus size socks finished with scalloped cuffs. 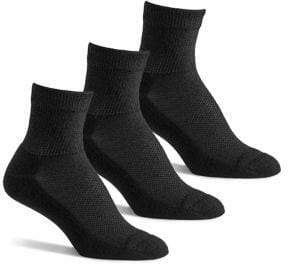 Nylon/spandex/polypropylene. Hand wash. Made in USA of imported fabric.